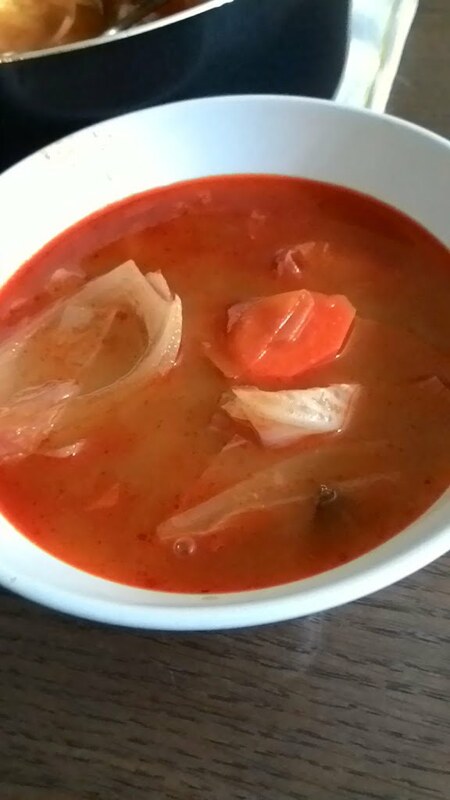 Hubby was craving for Tom Yum soup, and he told me that he planned to go tapau after he finished with his workout. 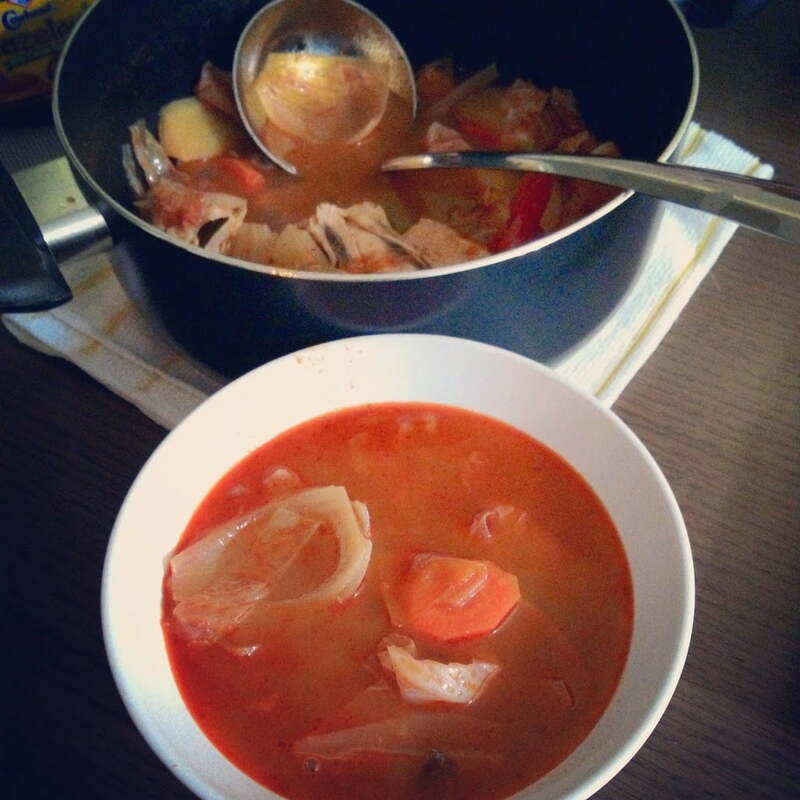 I told him just to come home straight from the gym as I’m going to make him a Tom Yum soup. Here’s the recipe which I modified a bit (sebab tidak banyak raw materials yang ada dalam dapur). You can get the original recipe here. Put ginger, red chilli, chilli padi, lime juice, and lemon grass into a blender. Blend sampai jadi macam pes (paste). 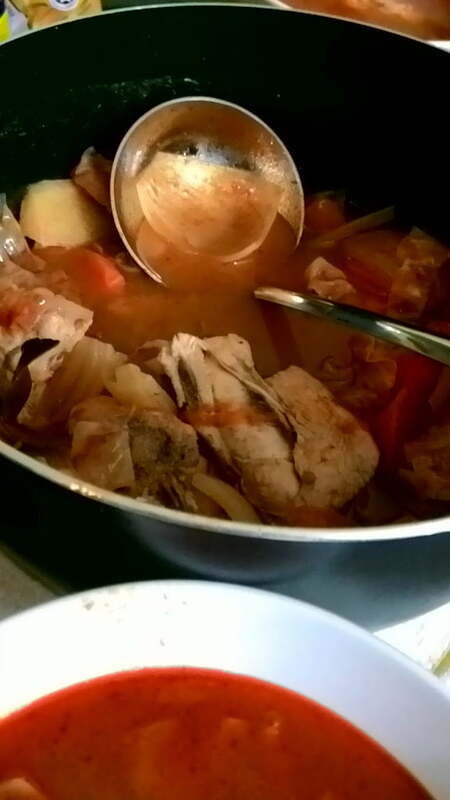 Put chicken, onion, carrot, and the paste in a medium-sized pot. Pour water, and chicken stock. Bring it to boil. Add lime leaves, soy sauce, fish cause, and tomatoes.